One of the biggest challenges with meetings and retreats is finding the perfect venue for your event. It can also be tough to find the right facilitator for your group. 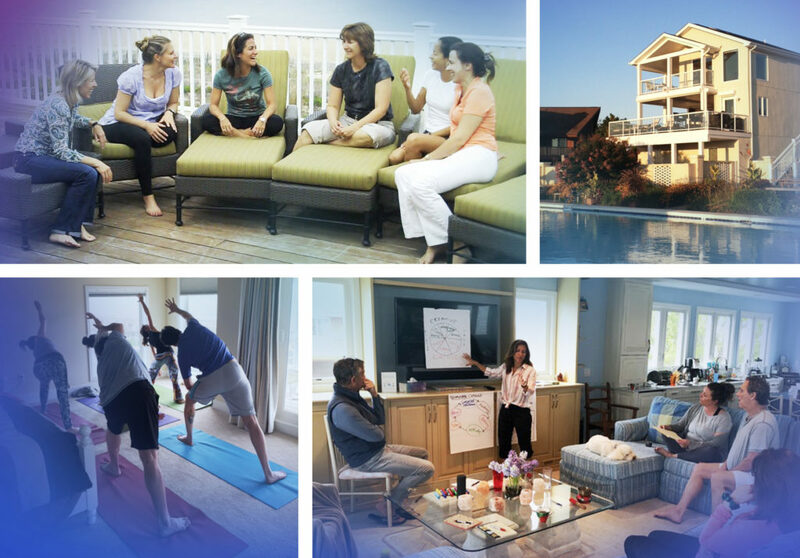 Our all-inclusive solution combines an expert facilitator and beautiful private retreat location that can host groups of up to 12 people overnight, with the ability to accommodate larger groups nearby. Conveniently located on the beautiful Delaware Shore, you’ll enjoy oceanfront privacy, yet be walking distance to wonderful restaurants, shops, nightlife, and activities. Spacious meeting rooms and recreational activities round out our time together. Book your retreat today by calling 703.928.7979 or email us at info@coachinmotion.com.